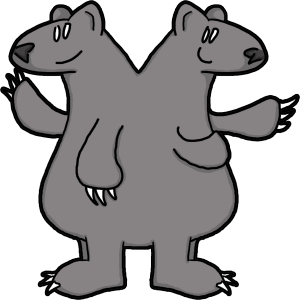 Located in the tree-strewn paradise that is the greater Seattle area, DoubleBear Productions was founded in 2009 by veteran game developer Brian Mitsoda, who imbued the company with a prime directive: to create indie games with ferocious excellence. After a successful Kickstarter campaign in summer 2012, DoubleBear went on to launch its first title, Dead State, on PC in December 2014. DoubleBear has released numerous free updates for the game since, and is currently working on its mysterious second project. To contact Brian or any other DoubleBear staff member, check out our Contact section, or simply sling an email to info(at)doublebearproductions.com – for press requests, check out our Media section or contact press(at)doublebearproductions.com!